On the twenty-ninth of June 1951 my active flying career ended with a tight full 360° turn. In my heart, however, I knew Lucassen was right. To be frank, when flying solo, I was always scared of the landing and my pleasure in flying was spoiled by the fear of that what was to come with certainty at the finale: the touchdown. Coming in too low would be a disaster of course. My friend Herman R. had hit a bill board last year while coming in over the provincial road to Maarn. A lot of splintering wood had absorbed the shock and he had lived to tell stories about it. But coming in too high could also be most embarrassing: touching ground at the far end of the field invited acid comments from the ground crew that had to come and pick you up and the long run to the start area while holding up the wing tip was far from pleasant. Unfortunately, with gliders, once you have started a landing, you cannot abort the approach. Giving full throttle and coming round for a second try was no option. Your approach had to be just right the first time. So on that fateful day, after having completed my qualifying flight for the C-brevet (which I did not receive), I was much too high for a landing and actually precariously low for loosing some of the height with a nice 360 degree turn. Low turns are dangerous. One might by mistake loose too much height by banking too steeply or slide into a stall. 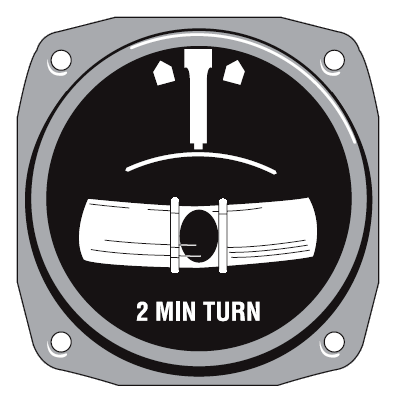 The stall, if not corrected in time, may go over into a tail spin and a tail spin at that low height would be fatal. I knew Lucassen was right. So I never flew again except as a cattle-passenger in over-crowded airliners. Ir. Lucassen of course knew what he was talking about. He was fifteen years my senior and a staff member of NLR, the Dutch Aviation Research agency. As I found out much later on the meticulous web site of Herman Dekker, Ir. Lucassen had been in some remarkable crashes himself. On the 21st of October 5 years earlier, he had attempted a cable start with heavy crosswind. To compensate this, the Grunau Baby had banked into the wind with the star board wing tip close to the ground. When he had released the cable from the winch at low height, the sailplane had continued to turn and slammed into the ground. Ir. L. fortunately was unhurt but the fuselage of the Baby had been badly cracked up. So he knew what he was talking about. I took the advice and abandoned piloting myself. I decided not to pursue a career as a commercial pilot. A lifetime later I found in the same excellent database of Mr. Dekker the particulars of a deadly crash of a Dutch glider plane in 1979. The pilot, Mr. R.A.N. 22 years, had started a full turn at too low an altitude (250m) and had not survived. After stalling he got into a spin from which he could not recover. He had been told by his instructor to fly his Sagitta glider near minimum speed and land within a target area. However the weather had been hazy and the horizon had not been visible. Nor had the plane been equipped with an artificial horizon instrument. A deadly pea soup. Mr. R.A.N. died in the resulting crash. I shivered – Lucassen had been so right – some of us stay better on the ground altogether.